€ 2.25 City tax per person per night is not included. Please note that there is an extra charge of EUR 15 for check-in after 21:30 and EUR 25 for check-in after 00:00. Located in Barcelona’s elegant district of Eixample, Casa Diagonal is just 200 m from Diagonal Metro Station. It offers free Wi-Fi and a large sunny terrace where you can enjoy a daily breakfast. Casa Diagonal – Guest House is situated a 5-minute walk from Passeig de Gràcia Boulevard and the famous Gaudí building, La Pedrera. The Sagrada Família Church is only 15 minutes by foot. There is a dining room and a full equipped kitchen available 24 h. Hot beverages and fruit are offered for free. Casa Diagonal also has a chill-out area with board games, magazines and a computer. Rooms at the Casa Diagonal have high ceilings and original tiled floors. They each have a fan and heater, and some have a small balcony. 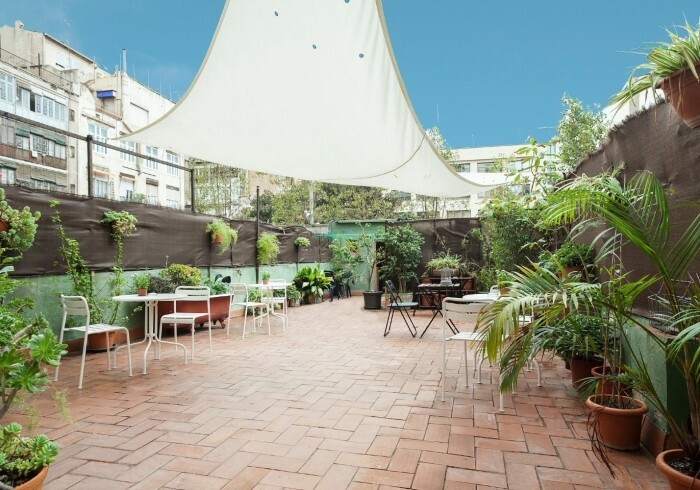 Numerous shops and popular bars and restaurants can be found in the charming Gràcia district, just a 5-minute walk away. Direct airport trains stop 600 m away, at Passeig de Gràcia Station.